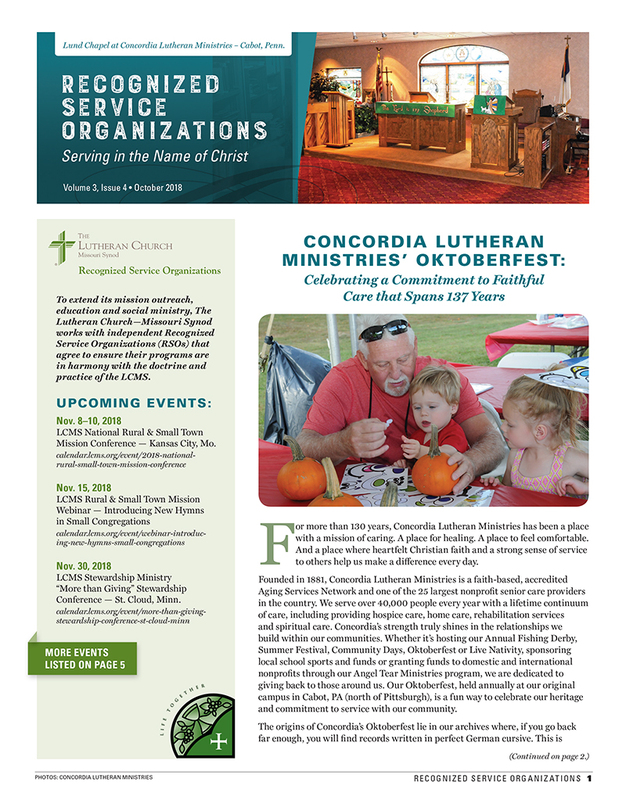 RSO News Update: Fourth Quarter 2018 — The quarterly newsletter of LCMS Recognized Service Organizations features Concordia Lutheran Ministries (CLM) in Cabot, Penn. Founded in 1881, CLM is a faith-based, accredited Aging Services Network and one of the 25 largest nonprofit senior care providers in the country. The newsletter also includes a story about eight Concordia University, Ann Arbor, Mich., nursing students who completed clinical rotations at CLM. In addition, the newsletter includes upcoming events and other resources for RSOs serving across the globe.